Most of the time when I meet with a bride and groom to discuss their wedding photography, they have already arranged their wedding venue. That is the way that weddings usually work: pick a venue, book a date and then look for the photographer, caterer, band, DJ etc. But just sometimes, I receive a call asking whether I would be available on a certain date for a wedding somewhere in Cornwall. The reason being is that the bride and groom still haven’t decided on, or found the right venue for them. 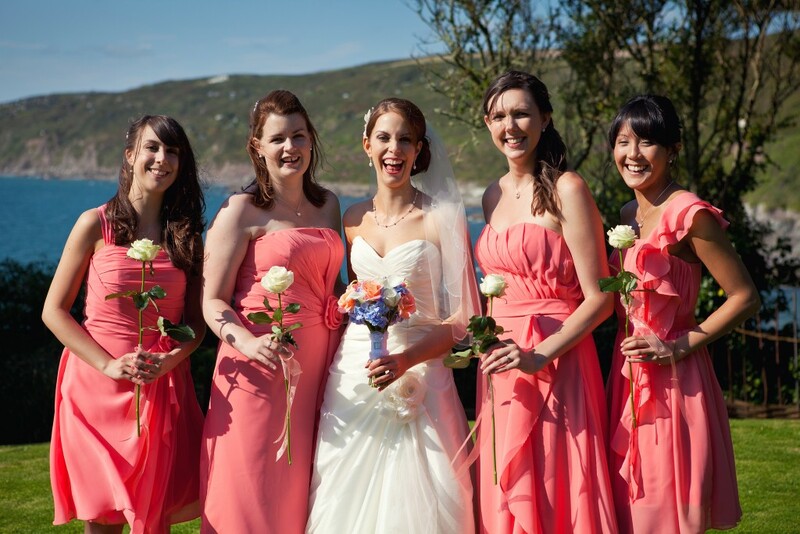 If you are attempting to organise a wedding in Cornwall from outside of Cornwall, it can be even harder to choose the venue that is right for you. I thought I would give some examples of just a few venue options that are available in Cornwall (with a slight viewpoint as a wedding photographer). Note: This is not meant to be a definitive list or necessarily even recommendations, it merely is intended as an indication of the diversity of and range of superb venues that we are lucky to have in Cornwall. Cornwall has a long and proud maritime heritage. However, its position in the British Isles has meant that over the years it has needed to defend itself. Fortunately, this has left a legacy of superb wedding venues in stunning coastal locations. Starting on the Rame Peninsula in far south east Cornwall, is the secluded Polhawn Fort. This napoleonic fortification nestles into the coast overlooking a strategic vantage point across Whitsand Bay. The low, domed ceilings within the fort gives it a unique feel, contrasting beautifully with the spectacular grounds outside and the views across the bay. I love photographing here. The hidden beach near the fort also allows for some great shots of the bride and groom. Further along the coast at St Mawes and Falmouth, you have the spectacular twin forts of St Mawes Castle and Pendennis Castle. Originally built by Henry VIII, these forts were designed to protect ports, harbours and important shipping routes along the Fal Estuary. Today they provide stunning wedding venues, both offering a slightly different experience. St Mawes Castle is tucked away on the Roseland Peninsula and provides a more secluded location with the option to add a marquee next to the castle. Pendennis Castle, located on the edge of Falmouth at the popular Pendennis Headland, has a set of magnificent Edwardian barracks that can be used for the wedding reception. Inside, both castles provide venues steeped in Tudor medieval charm. As a wedding photographer these venues provide so many photographic opportunities. If you get a great sunset the results can be spectacular. Top Wedding Tip: Brides, remember to bring a pair of flat soled shoes – those old stone spiral staircases can be tricky in a pair of heels. It is also advisable to pass this bit of information on to your wedding guests. Throughout Cornwall there are a number of beautiful iconic country houses. Here are a few to give you an idea of what can be found. If you are after a truly rural experience then Boconnoc House may be just what you are after. Situated near Lostwithiel, the house sits in the middle of its own country estate (the nearest public road is about 2 miles away) and boasts its own church. It is a great venue, particularly enhanced by the views across the lawns. My word of warning is to make sure you give your guests clear directions. I have gotten lost every time I have driven to Boconnoc House. If you don’t fancy a trip to the country, then an alternative is the impressive Fowey Hall. Situated over looking the ancient port of Fowey and dating to the late 19th century, Fowey Hall provides a secluded, but readlily accessible, venue. The high ceilinged rooms are lavishly decorated, giving any wedding an opulent feel. The venue provides plenty of photographic opportunities. I love the natural light provided by the tall sash windows. Slightly smaller than the previous two venues is the lovely Rose in Vale Hotel, situated in Mithian (between Perranporth and St Agnes). Sitting in its own well-manicured gardens, the hotel is a superbly peaceful venue. 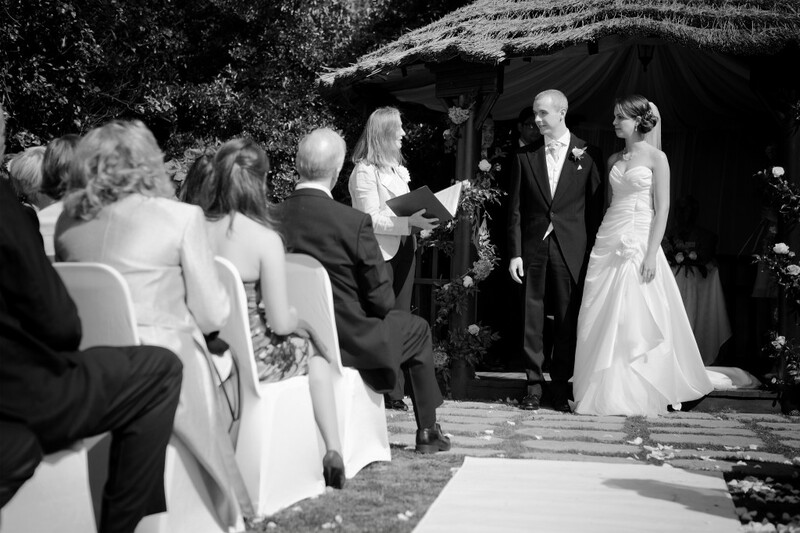 The summer house in the garden is licensed and provides a perfect venue to get married in, with the guests’ seating placed on the lawn in front of the summer house. In addition to the grounds, the local beaches at St Agnes are a perfect photographic playground for a wedding photographer. Top Wedding Tip: Many of the Country Houses are very rural. Make sure you guests have full directions within their invitation (don’t rely on stat nav – rural directions often cover large areas). I have yet to drive to Boconnoc House the same direction twice! If the above does not seem right for you here are three venues that you may like to have a look at. The Eden Project (near St Austell) does not need any introduction. It is world famous and rightly so. However, what you may not realise is that you can get married there. The back drop of the biomes are spectacular at night. Photographically, we do you start! There is just so much you can do in this location. Pengenna Manor (near Wadebridge) is a relatively new venue that is set to become a popular classic. Located in its own valley, it has been lavishly styled. It is an intimate secluded venue with an old world charm – well worth a look. Finally, a another new venue which offers something slightly different. Nancarrow Farm, picks up on the growing trend for farm based weddings. They have developed a stunning venue, including a green oak-built barn large enough for 130 guests. With the food overseen by chef Ben Quinn (formerly from Fifteen Cornwall), Nancarrow Farm provides an extremely unique style of wedding venue. Yet again, for a wedding photographer there are so many different opportunities available for creative beautiful photography. Hopefully, this list will have served as just a bit of an indication of what is out there in Cornwall. If you want to find out more, I can fully recommend the very wonderful Wed Magazine as an excellent resource for researching all that Cornwall has to offer.